It’s not easy running a restaurant business. Profits can be slim, operating costs high, and you always need to be pushing your restaurant forward. If you stand still for more than a moment, then there’s going to be another restaurant ready and willing to the customers that aren’t quite impressed by what you’re doing anymore. But fear not, because reviving a restaurant that’s become stuck in a rut isn’t as difficult as you might think. Below, we take a look at ten actionable tips that’ll make your restaurant appealing to locals and visitors alike. New restaurants have an instant advantage over ones that have been in business for a few years: everyone knows that they have a brand new menu (because how could they have anything else?). That means every item on their menu has been well-thought out; there’s nothing on there that can yet be “phoned in” by a chef working on autopilot. But you can catch up to the start-up restaurants by reviewing and updating your menu. This will also be good for you, and for your cooks: menus can get pretty boring! Take a walk through your offerings and see what items are tired and should be retired, and which should stay. This also gives you a chance to add some fashionable menu additions, such as vegan and gluten-free options. You can’t make every dish on your menu an above-average offering. You have to think about time, after all! Still, that doesn’t mean that every item on your menu has to be a standard offering. Think about creating one or two standout dishes, for which your restaurant will be famous. When it comes to putting together your new menu, put some extra time into creating something special – this is a fun part of running your own restaurant business. The emphasis should be on a creative dish, made from the best ingredients. If everything works as it should, it’ll be the most popular dish on your menu. It doesn’t take long for a restaurant to look a bit dated. The walls can look a bit faded, the toilets aren’t working quite as well as they should, and the cosy atmosphere you created when you opened is now a thing of the past. Updating your look can breathe new life into your establishment, and is actually a good way to get people visiting again; they’ll be thinking “we haven’t been there in a while, let’s go check it out!” Also, keep in mind that the toilets are often indicative of the quality of the place. It’s a bit odd but true! While your refurbishing your outside and walls, remember that it’s where people are sitting that really counts. If you have booths that have scuff marks, or tables that won’t stay straight without wedging some paper under one of the legs, then it’s time up update your furniture. 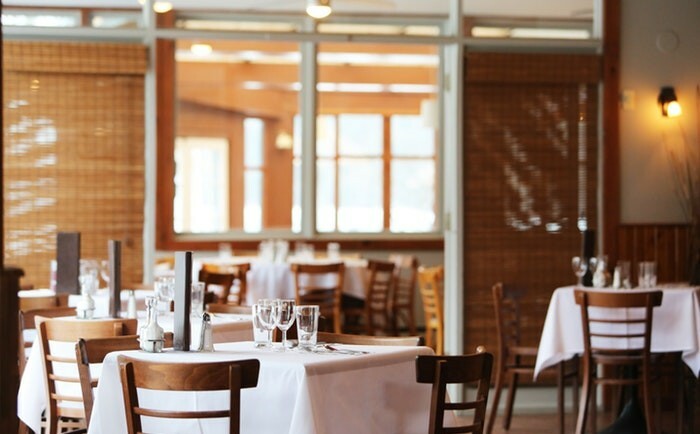 There’s a wide range of restaurant furniture by Apex available, so take a look and see which type of tables and chairs would best suit your restaurant’s new look. The entire look and feel of your restaurant – not to mention your customer’s comfort – can depend on the quality of your furnishings, so make sure you’re putting a lot of thought into what you buy. You’ll have a lot of tasks to take care of as a restaurant owner. However, no matter how busy you are, it’s important that you’re a presence in your restaurant, especially if you’re operating a local joint. People are much more inclined to revisit a space if they know they’re going to receive a friendly greeting from the owner. In any case, running a restaurant is difficult enough, and this is one of the fun parts! You’ve got a big space, the facilities to cater, and a local population keen to attend events, so why not host one? There’s a lot of scope for hosting special events, such as concert evenings and guest chefs, and there’ll also ensure that plenty of people come through the door. Not everybody can afford to eat dinner in a restaurant. And when they do go to a restaurant, they typically stick to what they know. You can cater to this market by offering a lunch menu, and a weekend breakfast menu. This is obviously cheaper, but will boost your revenue – and more importantly, will bring a whole new type of customer through the doors. Your staff play a massive role in the success of your restaurant. It doesn’t matter if the food you serve is outstanding; if the service is terrible, then you’re unlikely to get too many repeat customers. While some restaurant owners think that having the best food is the most important attribute, keep in mind that most restaurant goers aren’t culinary experts; they just want to have a nice meal with their loved ones. If you’ve hired correctly, then your staff will already be pretty good at navigating customer expectations and offer a high level of service. Still, there’s not a waiter or waitress in the world that wouldn’t benefit from receiving some extra training from time to time. If you’ve created a pleasant ambience, offer good drinks, and make your restaurant conducive to conversation, then your customers are likely to give you a little bit of leeway when it comes to waiting for their food. Yet still, there’ll come the point when impatience begins to set in. As such, make sure that, while your emphasis should be on delivering delicious meals, that the waiting time isn’t excessive. The average time from order to food being served is around 25 minutes, so try to keep it within this limit. If the wait time is routinely exceeding forty minutes, then there’s something wrong with your order process. It’s not easy running a restaurant, but there are ways to help yourself. Take the tips above, and you should notice an improvement.